Mueller is paid far less than his predecessor Winterkorn. 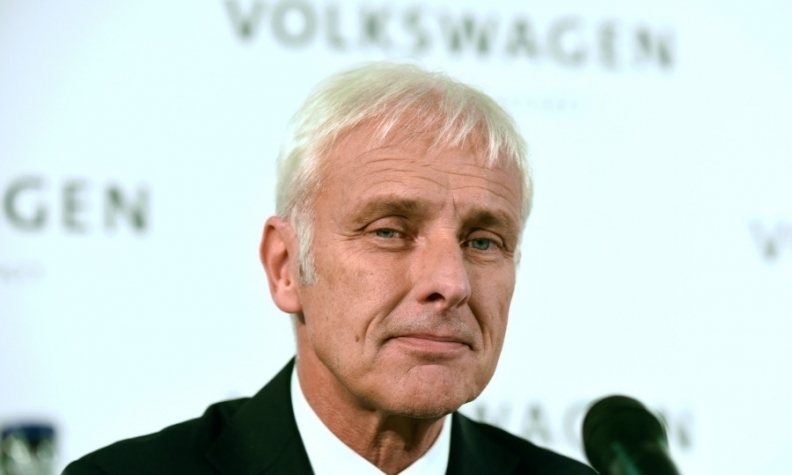 WOLFSBURG -- Volkswagen Group's CEO Matthias Mueller was awarded 7.78 million euros ($8.28 million) in pay and benefits for 2016, up from 4.17 million euros in total remuneration awarded a year earlier, the company's annual report showed on Tuesday. Mueller was not awarded a full year's CEO pay for 2015 since he only took over as chief executive in September following the resignation of his predecessor Martin Winterkorn, who was forced out in the wake of a diesel-emissions scandal. The company had come under fire over Winterkorn’s pay, which rose to just under 16 million euros in 2014, making him the best-paid CEO among German blue-chip firms. VW overhauled its bonus and executive pay policy in February this year to cap total pay for its chief executive at 10 million euros and other top managers at 5.5 million euros. VW brand chief Herbert Diess saw his total remuneration for 2016 fall to 3.93 million euros, down from 7.13 million in 2015, the annual report showed.